This all-inclusive publication serves as a platform for people of all different shapes, sizes, and backgrounds to showcase their talents. 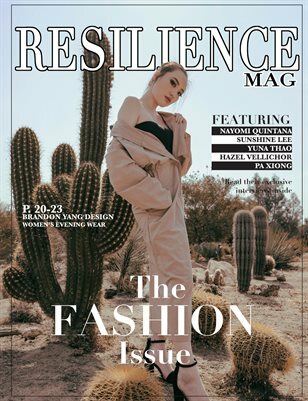 It encourages the use of self-expression through fashion, art, beauty, and writing as a means to overcome life struggles. It highlights the work of creatives in our community who practice resilience through pursuing their passions.